The Agency has Child Passenger Safety Technicians and one Senior Technician trained by the National Highway Traffic Safety Administration. These staff are able to provide education and demonstrate the proper installation of child safety seats. Child safety seats may be available depending upon current inventory and household income level. Safety seat checks may be done at your location or at our Central Office. Appointments are strongly recommended. Please visit our Locations page for address and contact information. 3 out of 4 children are not as secure in an automobile as they should be because their safety seats are not being used correctly. 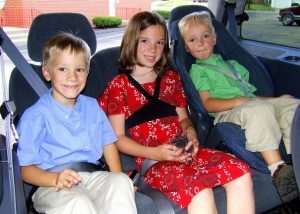 Is your child's safety seat properly installed? Are you putting your child in his or her seat correctly? Is your child's seat appropriate for his or her height, weight and age? Has your child's safety seat been recalled?